Bring some extra personalization to your party's drink station with personalized bar/bat mitzvah round stir sticks! 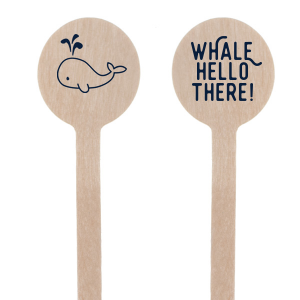 Use your custom designed bar/bat mitzvah round stir sticks for signature cocktails, italian sodas and coffee—or even as skewers for mini fruit kabobs! Design custom bar/bat mitzvah round stir sticks to complement your party theme today! Stir up the party with personalized bar/bat mitzvah round stir sticks! 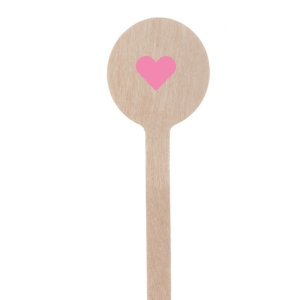 Add your custom bar/bat mitzvah round stir sticks to signature cocktails and coffee, or use them as skewers for mini fruit kabobs. Offering an Italian soda bar for the kids? 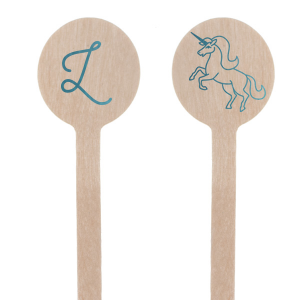 Customized bar/bat mitzvah round stir sticks will be the perfect touch! Easily design your customized bar/bat mitzvah round stir sticks to coordinate with your party theme using our customizer. Your guests will appreciate your attention to the details as they sip their cocktails or stir their coffee. Create your personalized bar/bat mitzvah round stir sticks today!